Our second and third year students doing our BA in Photography recently took a field trip all the way from Stellenbosch to Cape Town city centre. They began by visiting Photohire Print Lab, where they were shown various types of Fine Art printing by the resident master printer. Following this, they visited Photo Centre, where they were given an incredibly interesting talk on exhibition spaces and just what goes into planning and exhibiting a body of work in the best possible way. To round off the experience, our student did a walkabout at the Iziko Slave Lodge Museum with our very own Visual Studies lecturer, Irene Grobbelaar-Lenoble, who gave us a talk on her own exhibition, which is currently running at the museum. Check out more pics from the day below! 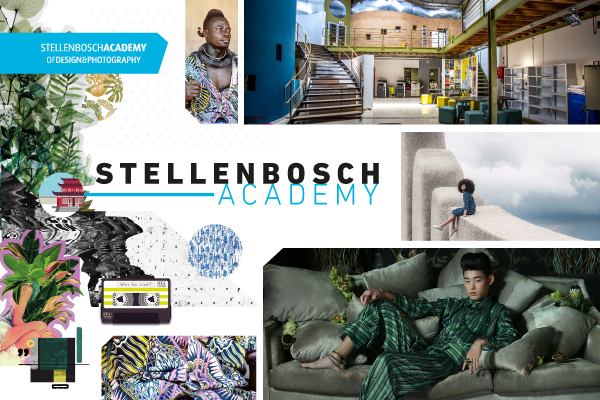 This entry was posted in Academy Work and tagged photography, Stellenbosch Academy on July 31, 2018 by stellenboschacademy. We love seeing how digital and physical design can work together to create something special. This magazine, Zero, which was made in Central St Martins by Dagné Petraitytė, Inês Silva and Nathalie de Vallière, does just that. It uses both print and digital techniques to make a publication which is something totally new. In fact, you can download the first edition of the publication on the website for free. This entry was posted in Design, Multimedia and tagged Design, Magazine, Multimedia, Typography on July 30, 2018 by stellenboschacademy. Big Thor Energy Drink is a Brazilian energy drink with a really fun name and a great appetite for illustration. This new packaging concept, made by Typedstudio in collaboration with illustrator Gabriel Bueno is just so much fun. We love the high-energy look and feel of the illustration. This entry was posted in Design, Illustration and tagged Big Thor, Energy Drink, Illustration, Packaging on July 27, 2018 by stellenboschacademy. What amazing news! We’ve just heard that we’ve received 21 semifinalists for the Adobe Design Achievement Awards. You can check out all of their work on the Adobe website here. The full list of our students who have been recognised is below. This entry was posted in Academy Work and tagged Academy Work, Adobe Design Achievement Awards, Awards, Semifinalists, Stellenbosch Academy on July 26, 2018 by stellenboschacademy. It’s time for our next Open Day! We’ll be showing people around our campus and telling them all about what they could learn at the Academy on Saturday 18 August. There will be talks at 10:30 and 12:00 where we’ll go into even more detail. We’d love to see you there! If you’re interested in attending, please send a mail to Louise. This entry was posted in Academy Work and tagged Academy Work, Open DAy, Stellenbosch Academy on July 26, 2018 by stellenboschacademy. We love this! Emily Stein, a British photographer, has spent time photographing a Japanese woman named Akemi who moved to England but still maintains a connection to her life in Japan. She shows this through her incredible collection of kimonos. Fittingly, this project is called Akemi’s 100 Kimonos. These meaningful portraits are such a celebration of culture, life and fashion – showing the power of photography! We had to share them. You can see more of Stein’s work here. This entry was posted in Photography and tagged Emily Stein, Japan, Kimonos, photography, Portraits on July 25, 2018 by stellenboschacademy. The 1st of July in Quebec is what’s known as Moving Day. To celebrate this and mark it, McDonald’s in Canada (with their agency Cossette) made this brilliant campaign – using moving boxes to make up some of McDonald’s most iconic menu items. This entry was posted in Art Direction and tagged Art Direction, Canada, Cossette, McDonald's, print on July 23, 2018 by stellenboschacademy.